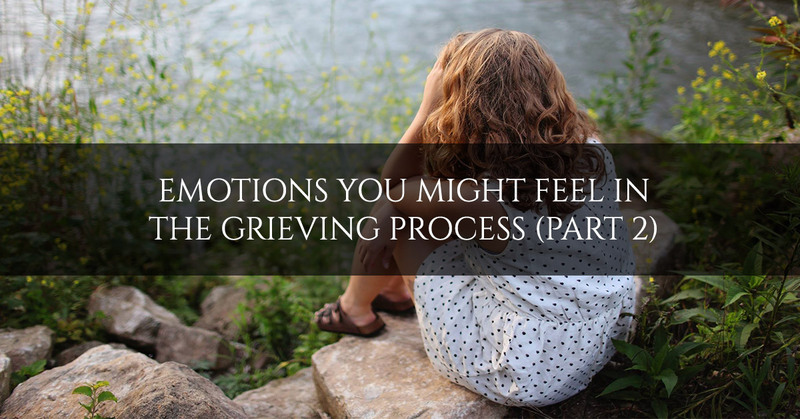 In the last blog post from our funeral home in Brooklyn, we covered four of the emotions you might experience during the grieving process of a loved one or close friend. The closer you were to someone who passes away, the more acute your suffering is likely to be, and you may pass through a range of emotions, or a series of different emotions in succession. Your emotions may not even make sense to you. However, remember that it’s natural to feel emotion, emotions do not always make sense, and it’s ok to be emotional as you grieve. There is a certain sense of awe that you might sometimes feel about the death, especially if you were in the room when they passed. You might experience a hush, a silence, and you might want to hold on to that moment as long as possible before the rush and bustle of planning the funeral sets in. Our funeral home tries our best to preserve that hushed, reverent feeling during the time that you are in our facility, and we hope that you can feel the compassion and peace that we desire to impart. When someone dies, there are many sources of fear and anxiety that you may be experiencing. Whether you are asking yourself, “What is going to happen to me now?” or “How in the world am I supposed to get everything done for these funeral arrangements?” the feeling of fear and anxiety can be crushing. If you feel the onslaught of fear, turn to the people closest to you for help, and count on the funeral professionals at Harmony Funeral Home to guide you through every step of the arrangements you need to make. Guilt is unfortunately a very common emotion that people feel when someone passes away, and it can run around and around your mind with accusing thoughts. “If only I had said such-and-such.” “If only I had NOT said such-and-such.” “I wish I had spent more time with them.” “I wish I had resolved X, but now it’s too late.” “I wish I had never done X.” No matter what the cause of your guilt, remember to direct your mind back to the truth. When you find guilty thoughts rattling around in your head, causing you distress, try to replace them with statements like these: “It’s not my fault that the person died.” “I would have done anything to prevent their death if I could.” “Life is uncertain and I did my best to reconcile with them.” Try not to let undeserved guilt get the better of you. If the deceased person was difficult, abusive, or unloving, you may experience positive emotions at their passing, and you shouldn’t feel guilty about this, either. Sometimes a person’s passing can be a relief. Even if the person wasn’t ever difficult or unloving, if you were burdened with their care during a long illness, their passing might leave you feeling freedom — both for yourself and for them. Whatever emotions you pass through in your journey of grief, Harmony Funeral Home is here to support you. Contact us for funeral services in Brooklyn.